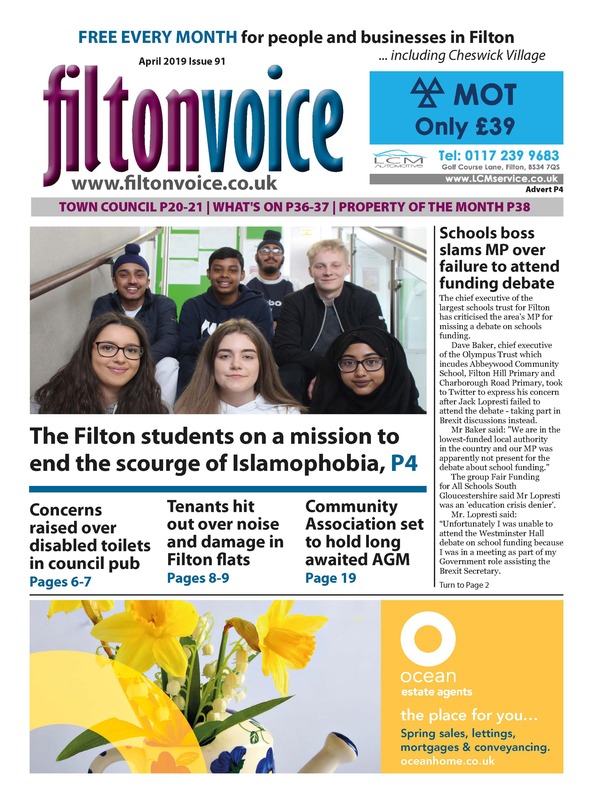 Welcome to the website for Filtonvoice, your best source of news and views if you live in - or are interested in - the Filton area on the north Bristol fringe. Our monthly news magazine has been in circulation for five years now and we are proud to be serving both our residents and the many businesses in the area. The website is designed to give readers an even better news service, with opportunities to comment on the issues which matter to you. We also have new features - a business directory which gives every advertiser their own web page on this site. This will be a real advantage for small businesses which do not have their own site and an enhanced features for firms which already have an online presence. We are also fully integrated to Facebook www.facebook.com/filtonvoice. Please get in touch on 0777 555 0607 if you have any story ideas, if you wish to contribute to the magazine or if you are a business looking for targeted marketing to more than 10,000 people every month. And remember, there are also our sister publications in 17 locations across Bristol and further afield with more in the pipeline.